Please note: This Playground is strictly for use by Victoria Park Golf Complex customers utilising the venue’s Bistro or Putt Putt services, and Victoria Park Golf Complex is strictly no BYO. 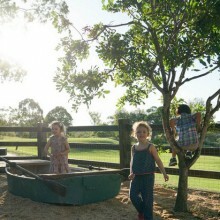 The new playground at Victoria Park Golf Complex is a country homestead in the city where Brisbane Kids are free to make their own fun. 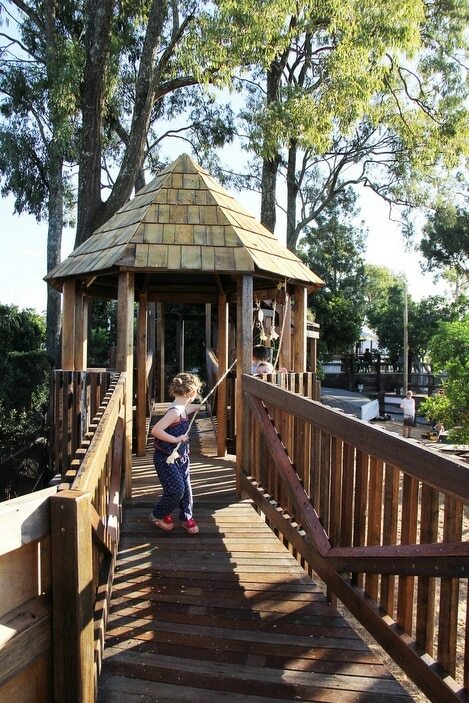 Victoria Park Golf Complex has recently opened an awesome new playground that will delight children of all ages. 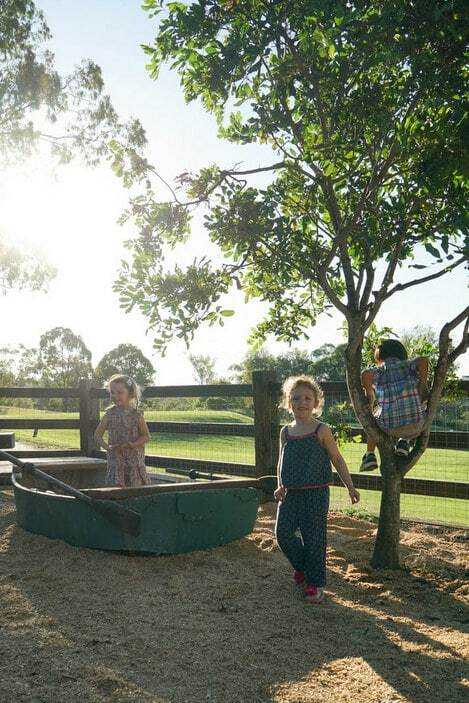 Designed in collaboration with local Brisbane families, the fully fenced tree-shaded playground has a country homestead feel with its cubby house, adjoining structures and re-purposed farm tractor. 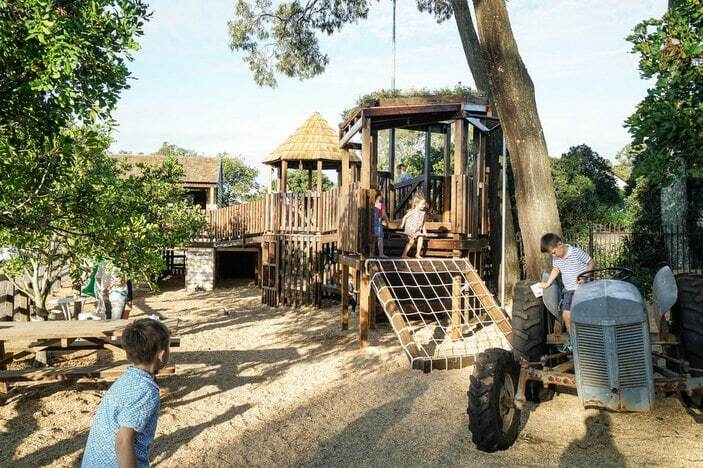 The addition of the playground makes Victoria Park not just a golf course or function destination but a unique destination the whole community can enjoy. 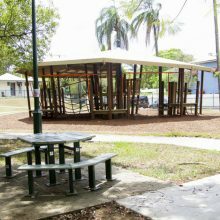 The main feature of the large playground is the raised cubby house where Brisbane Kids can play house and cook up a feast in the play kitchen. 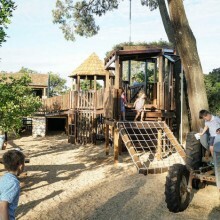 There are two slides that come off the veranda for a quick exit and a raised walkway that links the cubby to two towers, climbing nets and other imaginative play spaces. 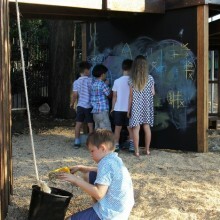 Older kids can take on the rock-climbing wall while young artists can draw a masterpiece on the chalkboard. There are leavers and buckets on ropes to pull supplies up to the top level as well as ladders to climb and windows to peak through. Sitting under a small tree at one end of the playground is a row boat complete with oars. 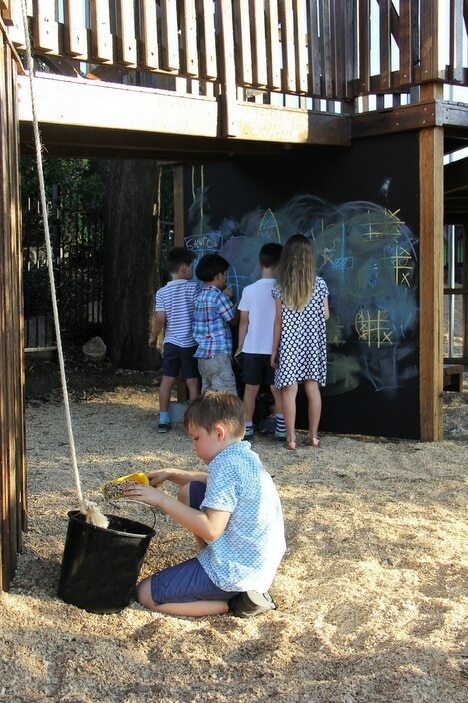 Imagination is at the heart of the design of this playground, from the cubby house with its play kitchen to the climbing areas, the stationery tractor and boat to the blackboard; Brisbane Kids will have no trouble creating their own games. Row, Row, Row Your Boat is sure to be sung at high volume when kids get into the stationery row boat and pretend to cross the imaginary river or lake. Or perhaps a rendition of Old MacDonald will be heard while little farmers round up the animals with the tractor. 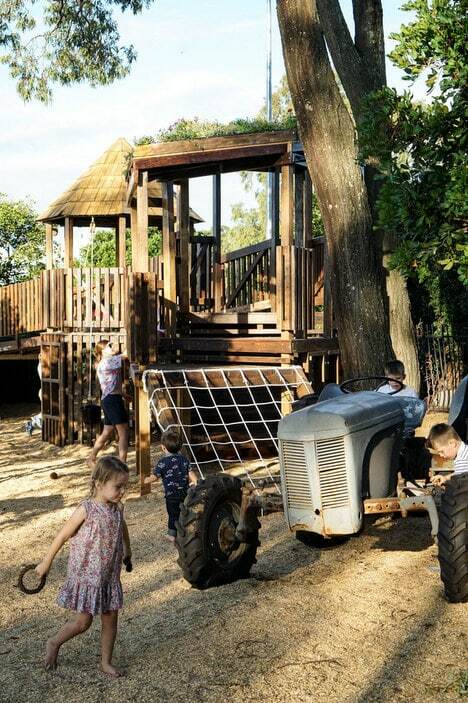 In fact you could probably sing a different nursery rhyme for each section of this wonderful playground. 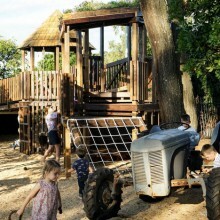 The Victoria Park playground is easily accessed from the car park with concrete paths leading to the playground and other areas of the complex. 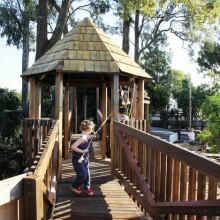 There is a ramp entry into the playground with fine bark base used throughout the area. Picnic benches and individual seating in the playground give careers a place to relax while the kids play. 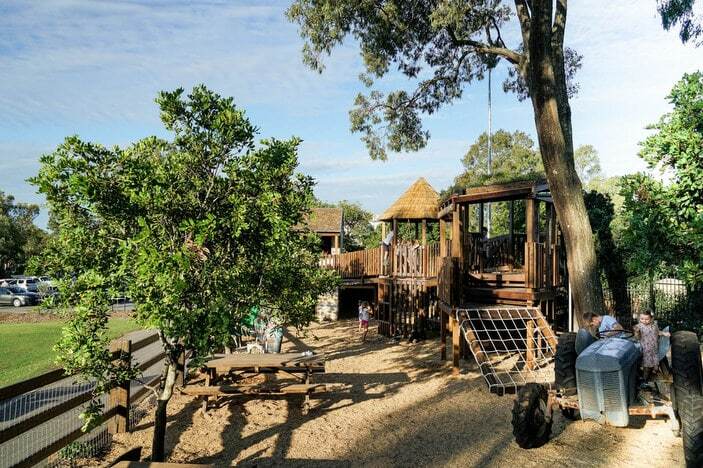 The playground is conveniently located next to the bistro so you can grab a bite to eat between having fun on the play equipment and a round of putt putt or golf. Toilets are located inside the bistro. 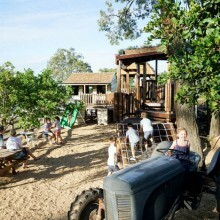 Victoria Park also caters for kids’ parties and has a range of party packages that have been designed for kids under 12. There are four different menus options to choose from that range from a breakfast party to afternoon tea. All party packages include food, beverages plus a round of putt putt and are for groups of ten or more. 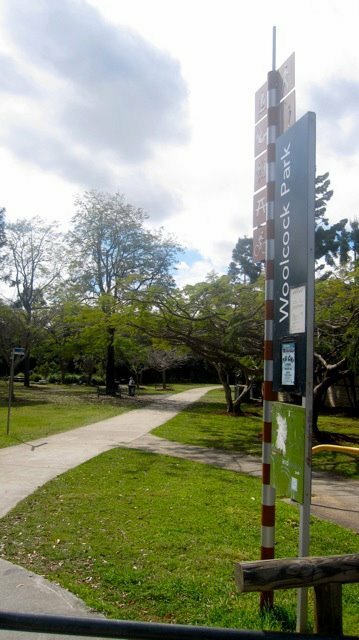 Other terrific nearby parks are Woolcock Park in Red Hill and Neal McCrossan Park in Paddington. 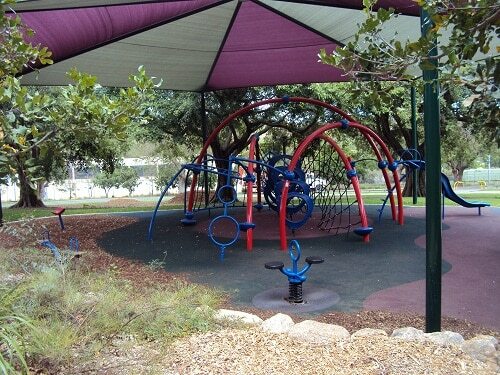 You can also click here to view all the playgrounds we have reviewed in north Brisbane. 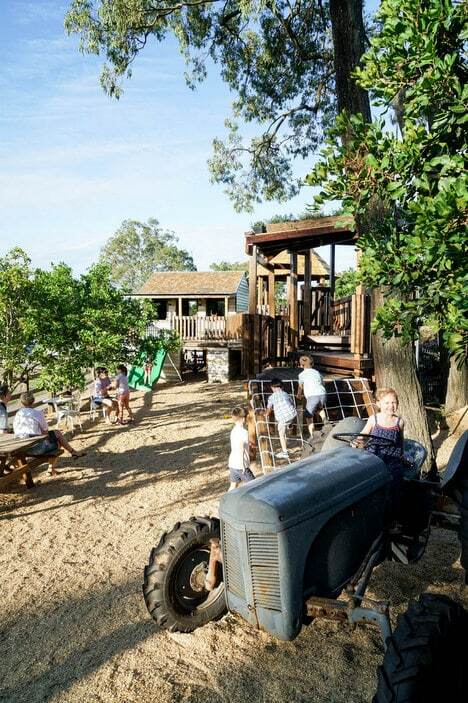 If there’s a great Brisbane playground that’s not on our list, please comment and let us know. Victoria Park is located Herston Road, Herston. This park was reviewed in 2016.